Please print the below letter* and send to your friends, pen pals, and loved ones in CA’s solitary confinement. *2018 Update: We are still asking for people’s 602’s, 22’s and artwork about the “checks” even though the linked letter says send by the end of Nov 2017. Are you living in segregated housing (SHU, Ad-Seg, PSU, Condemned Units)? Are correctional officers coming around to your cell every half hour or hour to conduct security/welfare checks? Are these checks conducted in a quiet manner? Or do these checks disturb you? Do they interfere with your ability to sleep, or cause physical or mental health problems? As you may know, the court in Coleman v Brown has ordered “security/welfare checks,” every 30 minutes in all solitary units as “suicide prevention.” The order does not direct how the checks should be conducted, only their frequency and location. The PHSS Committee to End Sleep Deprivation had hoped that the letters by many prisoners written since May 2016, to the Coleman Special Master and suicide expert explaining that the checks are disturbing their sleep and/or having a negative effect on their physical and mental health, would influence a change of the court order, but no such change has occurred yet. The court has the authority to change the order for “security/welfare checks” (with Guard One System) in a number of ways. The PHSS Committee to End Sleep Deprivation, California Families Against Solitary Confinement (CFASC), and Family Unity Network realize that it is easier for court officials to ignore letters about the checks than to ignore 602s and written requests for medical or mental health treatment related to the checks. If you are experiencing negative effects from the checks or from the way they are being conducted, it is time for the official record to reflect those effects. We hope that the attorneys for the prisoners in Coleman will take the 602s and medical requests seriously and address, with the court, the documented harms the checks are causing. Past complaints resulted in the checks at the Pelican Bay SHU being reduced from every half hour to every hour at night (First Watch). Further reductions or other changes are possible there or at other prisons, but it will require new complaints being filed by a significant number of prisoners. Since the architecture and/or officer behavior in different segregated housing units can be different, it is important that a significant number of prisoners in each housing unit complain of these problems where they occur. The court is not likely to order statewide changes if there are problems at only a few prisons. The court is most likely to modify the order for those units where large numbers of people complain. Prisoners often feel that filing 602s is pointless. It often seems that way. However, when prisoners act together, either by filing group 602s or by filing many 602s on the same issue in the same time period, that organized effort is heard. In contrast, courts interpret the lack of formal complaints as the lack of a problem. We appreciate hearing from those who have already written us about this problem. Your responses to surveys, letters to the Coleman suicide expert and Special Master, and previous 602s about the checks have been important. The PHSS Committee to End Sleep Deprivation uses your words and information to spread awareness to the public, the legislature, and the media. We compile the information as an ongoing record. If you have grounds to file a 602 and decide to file one, we recommend that you give your 602 to an officer with a CDCR Form 22 asking the officer to deliver the grievance to the Appeals Coordinator. The officer’s signature on the 22 form is your proof that you delivered your 602 for filing. Please include in your 602: whether you are able to sleep while Guard One is in use; as many details as you can recall about how often you usually wake up; how long you sleep at a time; how long you are awake each time you wake up; how much total sleep you get each night; and any consequences of this lack of sleep. Request to see medical if you are experiencing negative effects from the checks or from related lack of sleep. Document in your 602s, your medical visits and your attempts to get medical visits and medical care. Explain what medical did or did not do to help you, or if you were denied medical visits. If you have submitted 602s in the past about the checks, and the checks are still a problem for you, submit a new 602 (and Form 22) and request to see medical. Please send us a copy of your previous 602 as well. Please note this 2018 Update: We are still asking for people’s 602’s, 22’s and artwork about the “checks” even though the linked letter says send by the end of Nov 2017. The Hunger Strike going on right now at The Robert Presley Detention Center has now surpassed a week without jail administration addressing the demands and legitimate core issues of the Hunger Strikers. Instead, administration is responding by limiting or removing the Hunger Strikers’ commissary/canteen options, access to the phone, and visitation hours. These forms of retaliation are intimidation tactics. It is now more important than ever for us to voice our support for the hunger strike. Our rally will start in front of the jail at 1:00 PM, 4000 Orange St, Riverside, CA 92501. 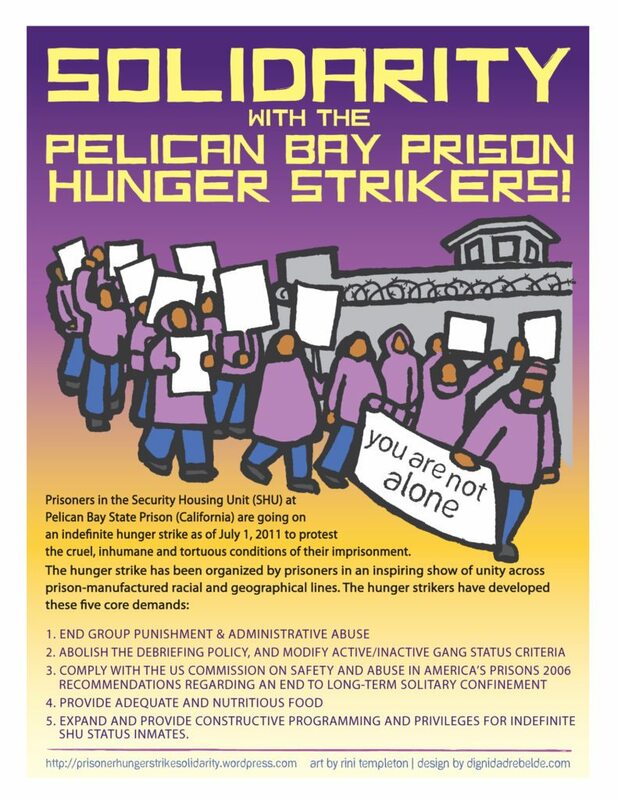 If you are unable to come in person visit https://prisonerhungerstrikesolidarity.wordpress.com/ for more ways to show your support. 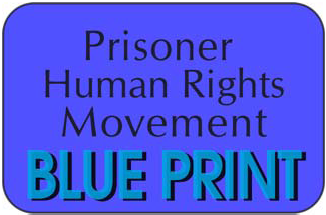 THURSDAY APRIL 13, First Day of Hunger Strike!